It is a hard thing to cross the plains. The land is flat and seems limitless. The wind is forever blowing. The wild grass stretches on forever, until it mingles with the pale skies. Where one begins and the other ends is anybody’s guess. It is easy to become disoriented, lost or turned around, and fall prey to the sun, wind or any of the many creatures who stalk the flat earth. Somewhere on this unforgiving landscape lies the body of a man ravaged by hunting beasts. He holds in his possession an amulet, a trinket really, but one that must not be left on the plains. The body must be found, the amulet retrieved and returned to its rightful owner. But to do so one must brave the wild beasts and unforgiving nature and unearth the mystery of the grasslands. 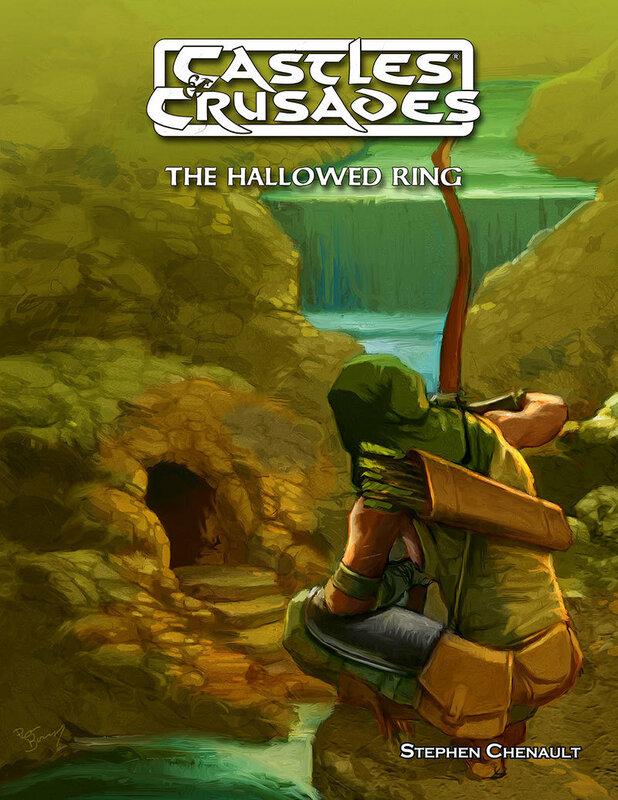 This stand-alone adventure is designed for use with 3-5 low level characters. It begins in an Inn and leads the characters on a short overland trek in search of an amulet.